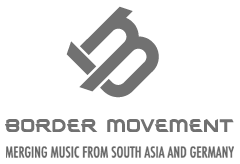 This collective of talented producers along with some local artists brainstormed long and hard to come up with ideas to give the people of Karachi the best audio-visual experience, creating the perfect backdrop for music lovers to unwind and aptly titled ‘Karachi Bound’. 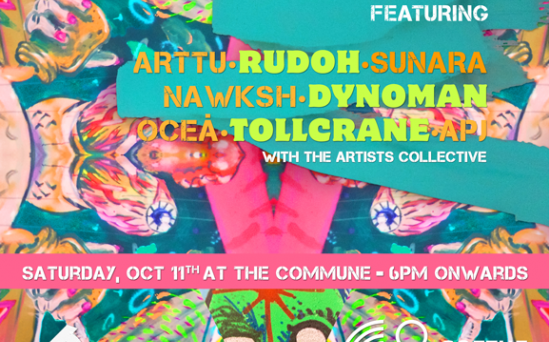 The event is set to take place at the Artist Commune a space where local artists have collaborated with Forever South to transform the venue into a work of art featuring beautiful murals and graffiti to enhance the experience. The aim was to give the event a ‘berlinesque’ and industrial feel. Co-founder of Forever South Bilal Nasir Khan is keen to details on lock down: “I’m not going to mention what exactly we have inside, but it’s definitely a surprise”. The gig is scheduled to begin at 6pm and will continue through to the early hours. There’s an amazing line up to look forward to with immensely skilled musicians including Alien Panda Jury,Rudoh, Dynoman, Tollcrane, OCEA and Nawksh featuring Slowspin. In addition to this stellar domestic lineup, two DJs will be flying in specially for this gig. Arrtu from Berlin who is known for his strong techno sets and Sunara from Sri Lanka who will give Karachi a taste of her beachy sounds through a set of triphop and jazzy tunes. For further information and to book tickets get in touch with the Forever South crew via email: foreversouthmusic@gmail.com.